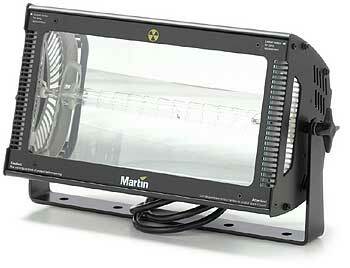 The Atomic Strobe 3000 is a powerful unit with pre-programmed special effects. 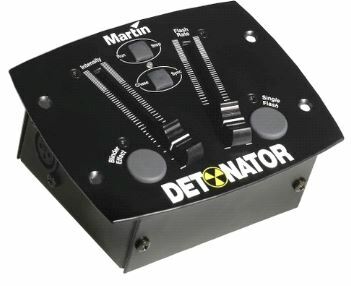 The Detonator is an optional, dedicated remote control tool for easy command of the Atomic 3000 DMX strobe's flash rate and intensity. 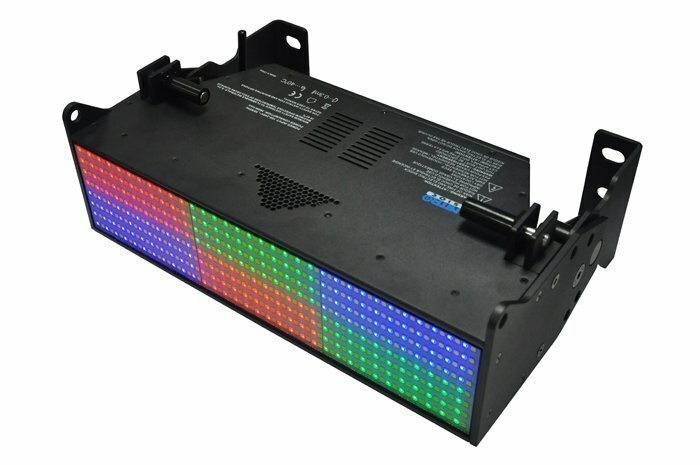 Provides high output white along with RGB capabilities in the same compact luminaire. 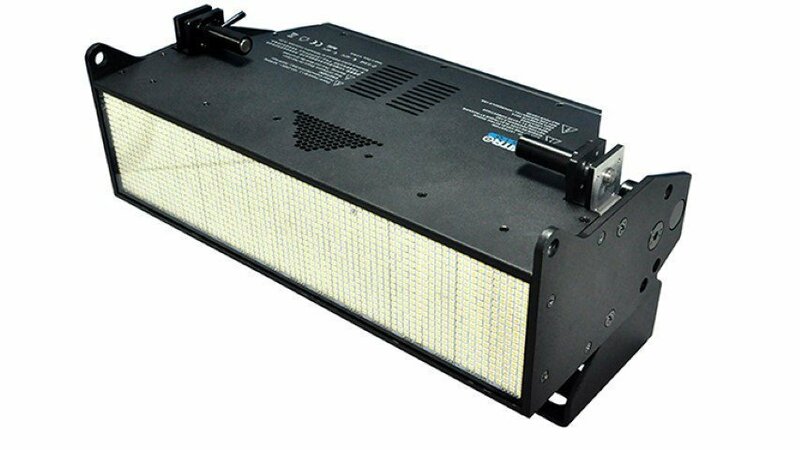 Over 1300 high-powered LEDs which produce 68,000 lumens of output. The fixture also includes features such as continuous-on, continuous full strobe, plus a built-in quick-connect system that allows units to easily connect together in both horizontal and vertical orientations, maintaining a perfect pixel pitch alignment of each fixture’s six programable zones.